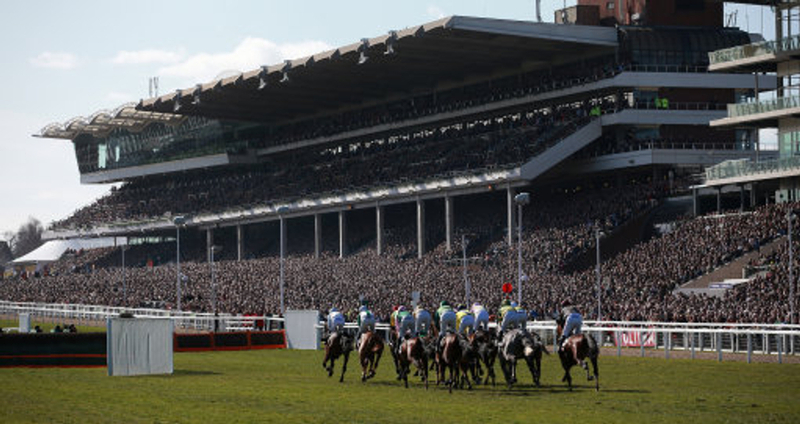 The first race on the first day of the festival to many is the highlight of the four days, the Cheltenham roar and all the anticipation of what is going to happen during the greatest week in horse racing. To start our Ante-Post Lucky 15 we are selecting Annamix for trainer Willie Mullins who is a bit of an unknown entity in regards to the racing world but this horse has been put in our bet because this is the horse that has actually come from Rich Ricci himself to be the horse to watch out for, out of all horses that he owns. Annamix has only ever raced once in France but from there was bought by Rich Ricci and changed trainers to Willie Mullins but is still yet to be unleashed into the racing world under the dangerous partnership of Mullins and Ricci. He was supposed to be seen last year but was not quite up to the standards of what they wanted from him, but this is his year and his owner really thinks he is a special horse and in recent years the Mullins camp do not have a bad record in this race. The second selection of the bet comes from the Tuesday again but this time in the National Hunt Chase and we have selected The World's End trained by Tom George. This seven year old last season shaped like he could be a really smart and progressive horse and did show some promise over hurdles in some tough races, finishing seventh in the Stayers Hurdle at the festival and fourth in the Stayers at Aintree. This year he has been sent over fences, which was the logical option for the horse and only recently he and his debut and Chepstow and bolted up in really nice fashion looking to be a progressive chaser. He should race twice before the festival and depending on how he fairs and what Grade of races he is entered into will either slash or boost the odds of the horse but he looks to be a sharp contender with a lot of potential over fences. The next horse to feature in our Cheltenham Festival Lucky 15 comes on the Tuesday in the feature race of the day the Queen Mother Champion Chase and we have gone with Great Field who is the second entry from the Willie Mullins camp in the bet. This horse did not put a foot wrong last season starting his hurdling career in January 2017 and since then hasn't lost over those obstacles and in the process of this has been against some fierce rivals in Grade 1 and 2 company. At the back end of the last national hunt season Great field who is owned by J P McManus, which is a very strange combination being trained by Mullins, went on to win the Grade 1 Ryanair Novice Chase at the Punchestown festival and the Grade 2 Webster Cup Chase. He has his seasonal reappearance this weekend and is primed to have a really big season for a top yard. This seven year old if performing well first time out will have his odds slashed for the Queen Mother Champion Chase which is set to be one of the races of the festival. The final horse of the Lucky 15 comes on the Wednesday again and in one of the more harder races to really go out and be able to pick a winner in the race, but we think we have a nice priced horse that has a great chance in the Champion Bumper. Energumene trained by Sophie Lacey and owned by her husband Tom Lacey along with the family have a really nice youngster on there hands with this four year old. He has only raced in one point to point where he got off the mark in style, since then it has gone to Willie Mullins' yard and will be trained by the Cheltenham Hall Of Famer and looks to be a real force in a race he has dominated in past years, having four of the top five in this years running.